The nation will be marking the 156th birth anniversary of 19th century hero Graciano Lopez-Jaena this coming December 18. The day, which falls on a Tuesday, is a special non-working holiday in the province of Iloilo as well as its capital Iloilo City by virtue of Republic Act 6155 of 1970, a law enacted during the term of then-President Ferdinand Marcos. Click here to read the full text of RA 6155 of 1970. 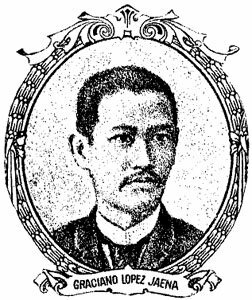 One of the leading pillars of the Propaganda Movement during the last decade of Spanish occupation, Lopez-Jaena was born in Jaro, Iloilo in December 18, 1856. Lopez-Jaena is honored in Philippine history for his role in establishing La Solidaridad, the leading voice of the reform movement. Prior to moving to Spain, Lopez-Jaena earned the ire of Spanish friars in his hometown for his satirical piece Fray Botod. For her part, then-President Gloria Macapagal-Arroyo declared Lopez Jaena’s birth date as a special working holiday elsewhere in the country through Republic Act 9070 in 2001. Read RA 9070 here.